Aircraft maintenance technician is a profession that needs to be licensed according to international aviation organizations. Aircraft Maintenance Training standards are awarded according to the standards set by EASA Part 66/ 147 as determined by the European Aviation Agency (EASA). It has been published in SHY66/ 147 by the Directorate General of Civil Aviation (DGCA) in Turkey, which contains documents similar to EASA. Aircraft Maintenance Technician examinations (SHY66 Module Exams) can be carried out by SHY147 Basic Training Institutions which is authorized by the DGCA. DGCA has granted Anadolu University as the authority to make exams in Turkey. The study was carried out in order to determine the exam system perceptions of candidates who entered the SHY66 Module Examinations, which provides Air Vehicle Maintenance Training in Turkey. In the first part of the study, with international and national standards for aircraft technician training was provided with literature. In the second part, survey dimensions developed to measure the test system perception are explained. In the third part, the questionnaire designed to determine the perceptions of the candidates of the aircraft maintenance technicians who entered SHY66 Module Examination was analyzed. The survey was completed by 506 technician candidates. With the results of the analysis, suggestions have been made to develop examinations for SHY66 Module Examinations. 1. Ghobbar, A. A., Friend, C. H., The Material Requirements Planning System For Aircraft Maintenance and Inventory Control: A Note, Journal of Air Transport Management, 2014, 10(3), 217-221. 2. SHGM, Sivil Havacılık Genel Müdürlüğü, Onayıi Hava Aracı Bakım Kuruluşları Talimatı (Sht-145), Sivil Havacılık Genel Müdürlüğü, 2013, Ankara. 3. Hobbs, A., Williamson, A., Skills, Rules and Knowledge in Aircraft Maintenance: Errors in Context, Ergonomics, 2002, 45(4), 290-308. 4. Kraus, D., Gramopadhye, A. K., Team Training: Role of Computers in The Aircrfat Maintenance Environment, Computers & Industrial Engineering, 1999, 36(3), 635-654. 5. Young,T.M., Aircraft Design Education at Universities: Benefits and Difficulties, Aircraft Design, 2000, 3(4), 207-264. 6. 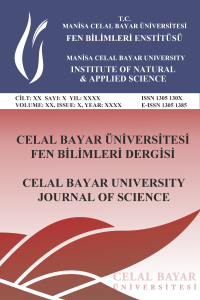 Gülgü, A.F., Uçak Bakım Teknisyeni Nasıl Olunur?, http://www.ucakteknisyeni.com/ucak-bakim-teknisyeni-nasil-olunur.html, 2012, (accessed 08.07.2017). 7. SHGM, Sivil Havacılık Genel Müdürlüğü, Hava Aracı Bakım Personeli Lisans Yönetmeliği (Shy 66 - 01), Ulaştırma Bakanlığı, 2007, Ankara. 8. Atak, A., Kingma, S., Safety Culture in An Aircraft Maintenance Organisation: A View From The Inside, Safety Science, 2011, 49(2), 268-278. 9. Lan, T.H., Coalition of Vocational and Regular Aviation Maintenance Technician Education, Proc. International Conference on Engineering Education, Manchester, UK, 2002. 10. Kasava, N.K., Yusof, N.M., Khademi, A., Saman, M.Z.M., Sustainable Domain Value Stream Mapping (SdVSM) Framework Application in Aircraft Maintenance: A Case Study, Procedia CIRP, 2015, 26, 418-423. 11. Stadnicka, D., Ratnayake,R.M.C., Enhancing Aircraft Maintenance Services: A VSM Based Case Study, Procedia Engineering, 2017, 182, 665-672. 12. Saraçyakupoğlu, T., Türkiye’de Havacılık Endüstrisinde Bakım Teknisyeni Yetiştirme Patikası, Mühendis ve Makina, 2016, 57(678), 60-64. 13. SHGM, Sivil Havacılık Genel Müdürlüğü, Yetkili Bakım Kuruluşları, http://web.shgm.gov.tr/tr/havacilik-isletmeleri/2064-yetkili-bakim-kuruluslari, 2015 (accessed 08.07.2017). 14. Sahay, A., Aircraft Maintenance Paradigm, Leveraging Information Technology for Optimal Aircraft Maintenance, Repair anad Overhaul, Vol. 3, , Chandogya Upanishad, Upanisads, Oxford University Press., U.S.A., 2012, pp 221-230. 15. SHGM, Sivil Havacılık Genel Müdürlüğü, SHY-147 Kapsamında Tanınan Okul Statüsü, Sivil Havacılık Genel Müdürlüğü, 2014, Ankara. 16. SHGM, Sivil Havacılık Genel Müdürlüğü, Hava Aracı Bakım Eğitimi Kuruluşları Talimatı (Sht-147), Sivil Havacılık Genel Müdürlüğü, 2007, Ankara. 17. SHGM, Sivil Havacılık Genel Müdürlüğü (n.d.), Hava Aracı Bakım Personeli Lisans Yönetmeliği (SHY 66-01) Dönüşüm Talimatı, http://web.shgm.gov.tr/tr/genel-duyurular/1072-hava-araci-bakim-personeli-lisans-yonetmeligi-shy-66-01donusum-talimati-yayimlanarak-yururluge-girmistir, 2017 (accessed 08.07.2017). 18. Akalın, Ş., Kamu Personeli Seçme Sınavı Genel Yetenek Testinin Madde Yanlılığı açısından İncelenmesi, Doktora Tezi, Ankara Üniversitesi, Eğitim Bilimleri Enstitüsü, 2014, Ankara. 19. Önal, B., Sınıf Öğretmeni Adaylarının Kamu Personeli Seçme Sınavındaki Başarı Düzeylerinin Bazı Değişkenler Açısından İncelenmesi, Yükseklisans Tezi, Uşak Üniversitesi, Sosyal Bilimler Enstitüsü, 2011, Uşak. 20. Joosung J. Lee, J.J., Yoon, H., A Comparative Study of Technological Learning and Organizational Capability Development in Complex Products Systems: Distinctive Paths of Three Latecomers in Military Aircraft Industry, 2015, 44(7), 1296-1313.